Crain’s New York Business just ran a web piece about the latest annual survey of poor New Yorkers by the Community Service Society. The story, headlined “Report: Recovery brings no respite for NY’s poor,” told of the increasing difficulty that low-income New Yorkers are facing as 2011 approaches. 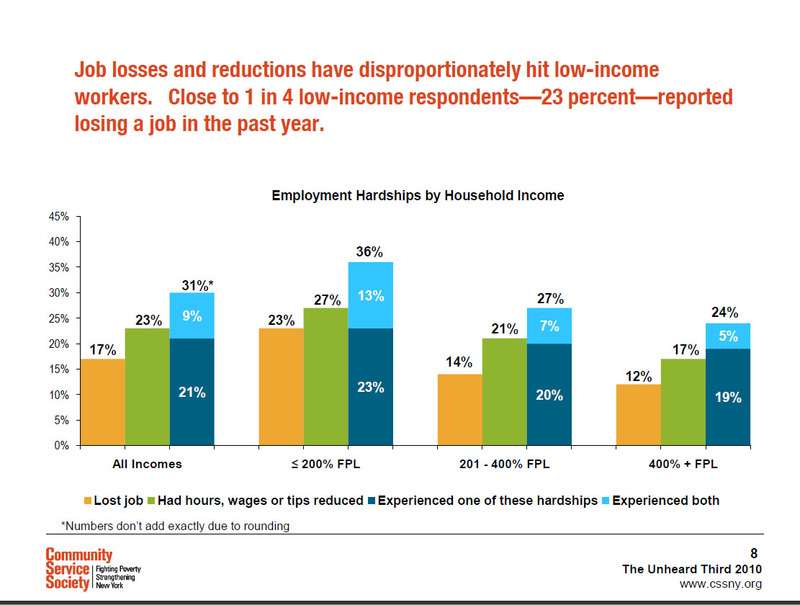 Low income is defined as less than $44,100 annually for a family of four. The item was paired with a holiday-season ad for Tag Heuer wristwatches, which range in price up to $80,000.